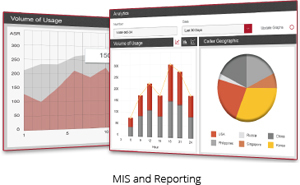 Detailed Management Information Service (MIS) Reports are given with respect to each Module. Reports can be exported using a Quick Export Utility in MS Excel, MS Word, RTF and PDF Format. All Reports have extensive Search and Sort Options with Date Filters.